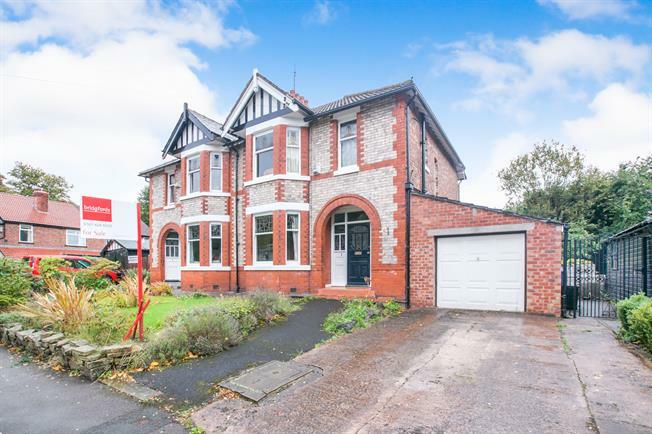 3 Bedroom Semi Detached House For Sale in Cheadle for Offers Over £400,000. This three bedroom semi-detached property boasting some of its original features, offers superb accommodation throughout making it an ideal family home. Comprises:- entrance hall with access to both the cellar and garage, kitchen, dinning room, living room. To the first floor, three double bedrooms with access to the loft conversion from bedroom two, bathroom, WC. This property also has an enclosed garden to the rear.